So why is Swift more than “yet another language”? Its still a third generation language, so there are no major advantages or productivity boosts as opposed to any of the other major contenders. Java and other languages that compile to Java byte code run on the JVM. In a world of Docker containers the JVM is just YET ANOTHER LAYER eating up resources. The claim “write once run any where” is just as true for a Swift applications packaged into a Docker container as for a Java Application running on top of a JVM. Running an application in JVM, that is running in a Docker container, that is running on a virtual host seems rather ludicrous. Swift compiling to native machine code, has the advantage of a rather small memory footprint. When running hundreds or thousands of instances, as many tech companies do, even saving a couple of MB on memory footprint generates real business incentive. Ian Partridge compiled N-Body Benchmark results from Debian Benchmark Game for his presentation “Swift: the mobile language that’s coming to the cloud” (you can view the full presentation here). Java even managed to outperform Swift ever so slightly 22.53s vs. 23.53s in the N-Body Benchmark. When looking at the other benchmark results the picture is rather mixed. Swift leading by significant margins for mandelbrot, binary-trees and fankuch-redux. Whilst Java has the lead in pidigits, k-nucleotide and regex-dna benchmarks. Most notably Java has a significant lead in regex-dna (4.56s vs. 102.57s). This will undoubtedly improve as Swift and its API’s mature. More importantly is the amount of memory used, Java uses 28,212 KB vs Swifts 4,348 KB, depending on the benchmark the memory advantage varies but Swift still beats Java by significant margins in all benchmarks. Garbage collection has eased memory management for developers, delegating the nitty gritty business of memory management to the JVM. Swift, just like Objective-C, utilizes automatic reference counting (ARC), admittedly its not as hassle free as garbage collection, especially when dealing with cyclic references. Swift however provides decent ARC API for dealing with these issues (see ARC and Memory Management in Swift). Claiming that memory leaks are unheard of in Java applications also belongs in the realms of legends. Also garbage collection comes at a high cost. Employing concurrent mark and sweep algorithms, it still requires more memory and CPU cycles then immediately assigning and releasing memory as needed. A major consideration point when adopting a technological stack is the availability of skilled developers. 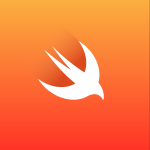 Swift has been around since 2014 and has become the primary language for IOS and OS X development, garnering a substantial crowd of capable developers who are all to eager to also develop the server sided code to their applications. Tooling is another important factor when considering technological stacks. Java has a very mature tooling stack, supported by three major IDE (Eclipse, Netbeans and Intellij) and a large supporting ecosystem around it. As for Swift, the tooling is still fairly limited. The obvious choice is XCode which limits it’s use to OS X. If you want to develop on Linux or any other platform you are faced with a choice of “code editors” which are mostly limited to syntax highlighting. JetBrains CLion being the one exception, providing Swift 3 support via an AppCode based Swift 3 plugin. For “traditional enterprise” applications, the load is usually fairly low, dealing with a tens maybe hundreds of concurrent users. Having one or four servers running doesn’t have any real cost impact in the grand scheme of enterprise applications. However, when considering tech companies that operate with hundreds, thousands, if not 10s of thousands of instances this becomes an entirely different story. Considering that the main driving force for Javas ecosystem usually comes from the tech companies rather than traditional enterprises, there may be a movement towards Swift. This may in turn drain resources away from the Java ecosystem. Its important to note that Java is in its prime years, and with all the active development on and around Java, it is far from declining or dead. However there is a new kid on the block and it has more to offer than just “syntactic sugar”, it has a real business “value proposition”. 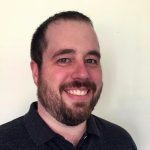 CLion 2016.3 includes Swift plugin with partial Swift 3 support coming from AppCode (https://www.jetbrains.com/objc/whatsnew). Thanks for pointing that out, however the link points at AppCode. Do you have anything highlighting Swift 3 support in CLion 2016.3? Swift support in CLion plugin is the same as in AppCode (language related part). Thanks, I updated the post accordingly. The main cause of Swifts low memory usage isn’t ARC, it’s the prevalence of value types. Value types aren’t stored on the heap. Also ARC doesn’t save CPU cycles in comparison to other garbage collection schemes – it can actually be slower, especially in a multithreaded environment. It’s a little more complicated than that; value types are inlined if possible but more complex ones are actually stored on the heap, but it all happens under the hood and the most important thing is the copy on write mechanism. The difference between Swift memory usage and JVM default memory allocation in 100-line toy benchmark programs really isn’t important. As for me, the possibility to drop the JVM can only be an advantage, so I’m looking forward to see how Swift will evolve, in particular on the server’s side. I don’t think garbage collection is the main cause of Swift’s lower than Java memory usage. Go which is garbage collected as well was lower than everything but C++. Fair choice, as far as I can tell its only available on OSX. Why is C# not compared? Fair question, to which I don’t have an answer.